Big tires, big lift, large frontal area equals driving inaccuracy. That wandering and weight or larger heavier components means pieces and parts wear. So what can you do to counter that? There are a couple ways to tackle the issue but today we are going to look at how Synergy MFG solves this issue of flex and wear. 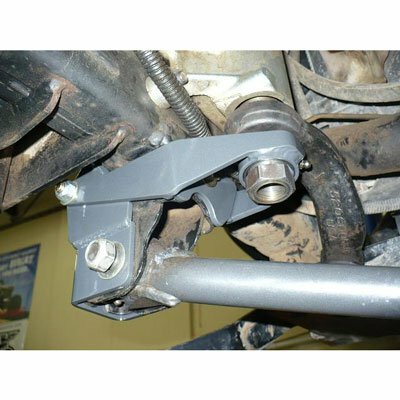 Synergy MFG manufactures a track bar brace and sector shaft brace that join together to support and strengthen the entire steering assembly. The JK mounts the steering box to the frame and is through bolted from the outside of the frame. In practical use this is a strong mounting solution for day to day use. When pushed with a larger lift and tires there is not enough support to keep parts from flexing and moving. 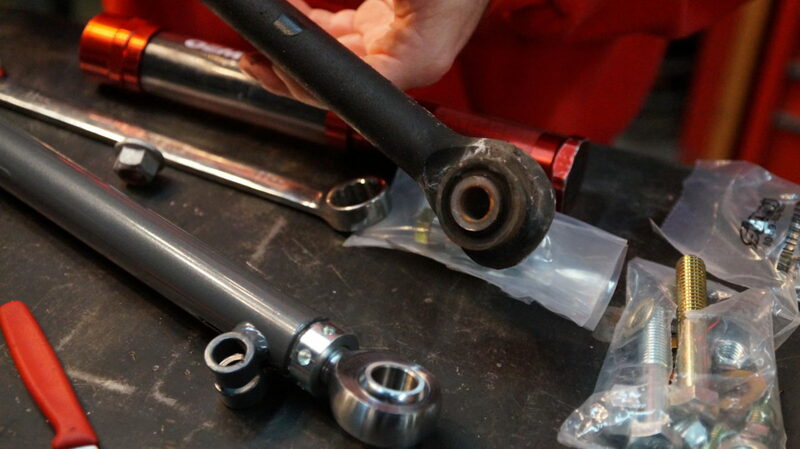 The Synergy MFG kit reinforces the mount on the outside of the frame, it ties the sector shaft to the bracket for additional steering box support. You can see in the picture how it adds strength to the outside of the frame, reinforces the bracket, and adds support to the mounting bolts. 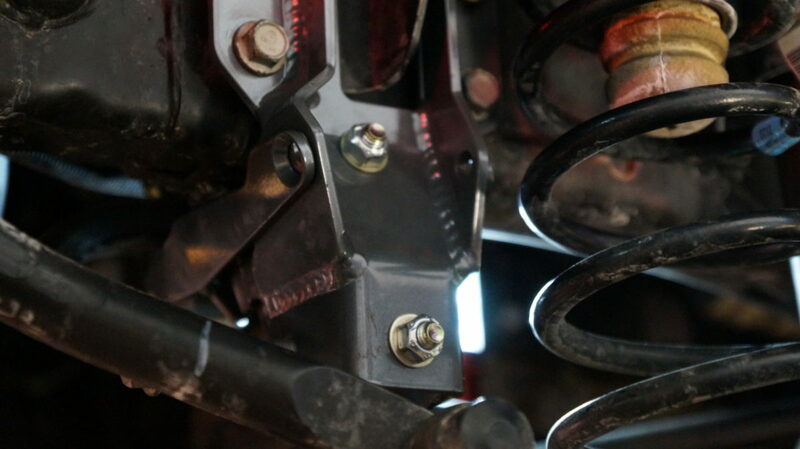 The sector shaft brace runs from the middle of the bracket to the steering shaft out of the bottom of the steering box. There is a bearing that passes over the shaft and a through bolt ties it all together. You now have full support for the steering box, a new bearing that has a grease fitting for maintenance, that also supports the pitman arm and steering shaft. What’s great about this setup is it also provides a new stronger track bar mount reinforcing the stock location. With the larger 9/16 bolt supplied it also takes up the slack that the stock bolt leaves helping to prevent elongating of the mounting hole. Every single facet of this design improves the longevity of your JK and we haven’t mentioned the quality of the materials. I could write a bunch of lines about materials, machining, and paint. I will just leave the above pictures to show you the difference between stock and Synergy’s new parts. Price for the brackets is $200. 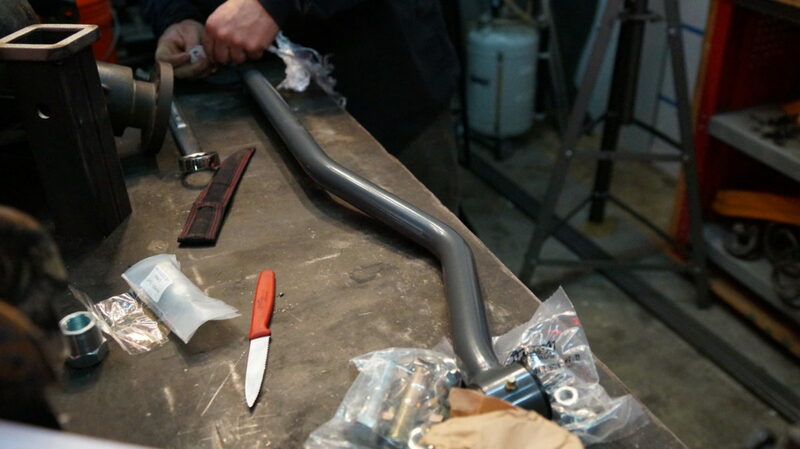 The track bar is another $200. Your track bar will possibly work with the bracket but Synergy recommends theirs for optimum fitment and guaranteed proper functionality. If you are doing this type of upgrade I would definitely go look closely at their pieces before deciding. That didn’t answer is it worth it did it? The answer is yes. If you want accurate steering that will last longer, take more abuse, and allow you to enjoy your Jeep on road as much as you do off road this upgrade is a no brainer. 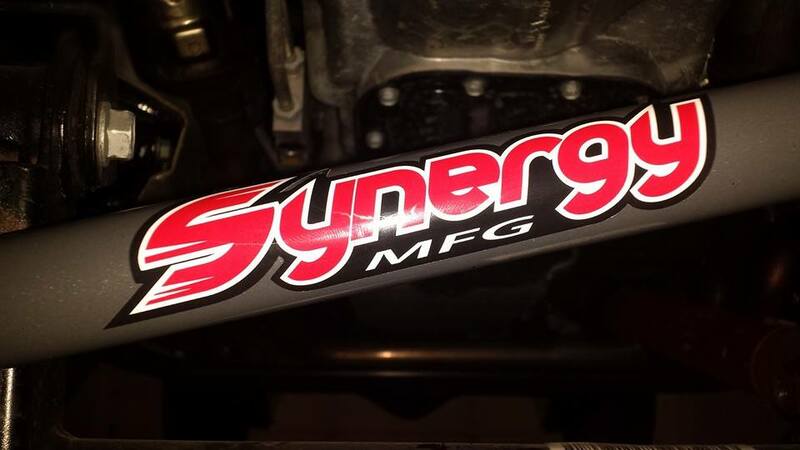 Don’t forget to check out our Featured Partners Page and watch for an upcoming piece on some more Synergy MFG parts.